Happy National Travel & Tourism Week! 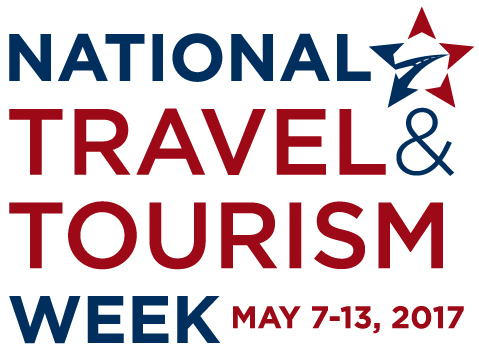 National Travel and Tourism Week (NTTW), now in its 34th year, is the annual salute to travel in America. During the first full week in May, communities nationwide unite to showcase the impact of travel to policymakers, business leaders and local media with rallies, events and other activities. This NTTW, we are shining a spotlight on the people who keep this industry strong: The Faces of Travel. plus the District of Columbia. More than half of all travel industry employees—a total of 4.3 million—earn middle- class wages or higher. Two in five (40%) American workers whose first job was in the travel industry are now earning more than $100,000 per year. Among workers who began their careers in the travel industry, 33 percent earned at least a bachelor’s degree, compared to just 28 percent in healthcare, 19 percent in construction and 18 percent in manufacturing. 1 All data from U.S. Travel Association, unless otherwise noted. Travel jobs are a ticket to opportunity and a path to prosperity for millions of Americans.